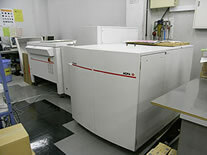 Printing Solutions for the Medical and Pharmaceutical Industries – Obun Printing Company, Inc.
We provide translation and production of pamphlets and brochures for the medical and pharmaceutical industries, and we offer full printing and binding support for the Common Technical Document format that is now used throughout the world for registration of new pharmaceuticals. Obun has earned excellent reputation among pharmaceutical and chemical companies for our digital on-demand printing capabilities, our quality control, and our strict observance of confidentiality. Foreign pharmaceutical manufacturers have designated us an approved printer for product development documentation (such as CTDs) and marketing materials (brochures and pamphlets). We are currently very active in designing, printing, and binding CTDs, pamphlets, posters, internal training documentation, and materials for use at exhibitions and seminars. The CTD format is now used throughout the world for filing registrations of new pharmaceuticals. CTD printing is particularly challenging, as a typical CTD is a thick document that must be printed in numerous small-run variations. Obun’s on-demand production system utilizing digital presses is ideally suited to the requirements of CTD printing and binding. CTDs are generated from source data supplied in a variety of formats. In creating a CTD, Obun typically receives a huge volume of data—consisting of various types of MS Office files (Word, Excel, and PowerPoint) together with newspaper clippings and other printed material. We scan the printed material, clean and adjust the resulting image data, then integrate it with the text and table data to produce the finished CTD. On-demand printing is ideal for producing numerous small runs in multiple variations, and for generating output only when and as required. For this reason, on-demand printing is the perfect approach for CTDs. Equipped with three Nuvera 120 Light Publisher digital printers, our PrintPACS division can provide rapid delivery of high-quality CTDs in the required volumes and variations. With long experience in the production of reports and surveys for the financial industry, we have become experts in the fast delivery of low-run, multi-variation CTD output. 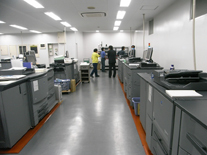 While typical offset printing is not suitable for low-volume work, our on-demand facilities allow us to provide full printing and binding for low- and high-volume documents with small- and large-lot sizes. Obun is delivering high-quality technical translations in the pharmaceutical and chemical fields, and in other life-science fields as well. Our on-call staff includes PhDs and other specialists who are very familiar both with the science and with the relevant equipment and software. Trial translations are available on request. As a business card printing company for foreign securities firms and major listed companies, we understand the supreme importance of maintaining and guaranteeing confidentiality. We acquired “Privacy Mark” certification in May 2006, and we maintain a rigorous internal security policy to prevent leaks. We are happy to sign confidentiality agreements before undertaking work.